These last two weeks at school, we have been learning about marine communications. The course has been broken up into two sections. Communications one and communications two. Communications one is where we learn about the nautical flags, the phonetic alphabet, and the procedures for the flags. Communications two is where we learn about morse code and the procedures. When you think of communications, often times verbal is a what comes to mind. With marine communications, there are many means of communications that we use. Sometimes yes, it is verbal through VHF radio, but it can also be visual with nautical flags and also by sound. Each flag has it’s own letter or number and has a special meaning. For instance A which is Alpha, means “diver down. Keep clear. Slow speed”. The ship would use this flag if they have a diver down. Morse code is very similar in and that for each letter and number, there is a series of dots and dashes. The dots and dashes can be used by sound, or by light. A dot is a single flash or sound and a dash consists of 3. A dot is short. The dash is long. 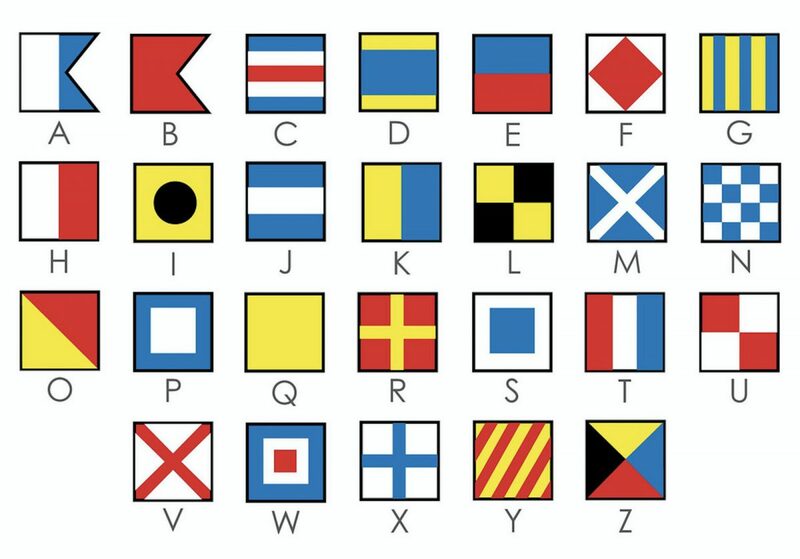 Another interesting thing with the flags and phonetic alphabet is it is also linked to the sound signals used on the ship. E for Echo, means “I am altering my course to starboard” (to the right). The morse code for E is one dot. The sound signal we use is one short blast on the horn. I for India, means “I am altering my course to port” (to the left). Seeing as there are quite a few flags to learn and meanings we have been given lots of practice in class. This has been great and very much appreciated. Each day, first thing, our instructor will go through each of the flags, their meaning, and the morse code for each. He will hold one flag up and ask each of us what the flag means. With this, like anything, daily practice and repetition is the only way to learn and perfect the flags. Its actually really fun as well. We get right into it!!! It feels good when you master the meaning of the flags or learn the entire morse code! Now, time to study for the final on Monday.